If this sounds familiar, you certainly understand the importance of an always available, always reachable team and so do we. With our Cloud PBX Solution, you get all the phone features you need for your business, with low upfront costs and no hardware or software to maintain. Whether you’re operating from a single office or different locations in your city, state, or country, you get an enterprise-grade VoIP phone system to make all your clients happy. Moreover, your mobile employees can be reached while on the go through your company phone number. Our solution relies on carrier-grade multi-redundant class 4/5 switches coupled with a chain of US & Canadian telecom carriers. This multi-carrier setup provides the necessary redundancy to guarantee our 99.999% SLA. 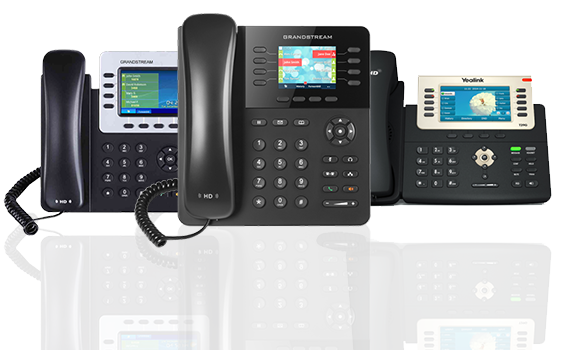 We can provide you with a full-featured phone system with over 40 features at a low per month cost, no long-term commitments or contracts needed, and we can even bundle in the cost of the phone, which means, any problems with the phone, it is repaired or replaced free of charge. To find out more, contact us today or download our brochure.